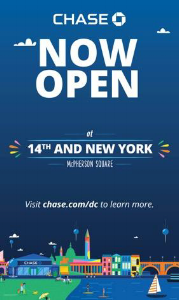 Taste of DC is proud to partner with Chase Bank! One of the largest financial institutions in the country is this year’s Presenting Partner of the largest culinary festival in the Mid-Atlantic! 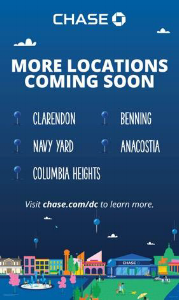 In addition to being the presenting sponsor of Taste of DC, the bank will host one of its popular Chase Lounge experiences on-site exclusively for Chase credit and debit cardholders. The Lounge offers cardholders space to relax and enjoy culinary experiences from the best chefs in the region. In addition the Chase Lounge will offer exclusive giveaways, happy hours, chef Q & A’s, and more!